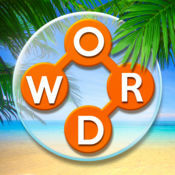 Here you may find all the Wordscapes Pillar Level 11 Answers. This is a brand new game developed by PeopleFun Inc and its already rocking the app stores for both iOS and Android. We totally understand the need of having answers / solutions for each specific level because some of the levels cannot be passed without our help that is why our staff has just finished uploading all the wordscapes answers, cheats and solutions. So since you are already stuck at Wordscapes Pillar Level 11 Answers, we don’t want you to lose anymore time, so please find below all the Wordscapes Answers and Solutions for each of the requested levels. Shall you have any other specific game-related questions or if we haven’t solved yet any of the levels that you are stuck please leave a comment below and one of our staff members will be more than happy to help you out!